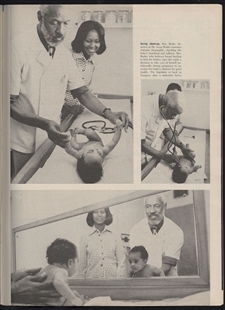 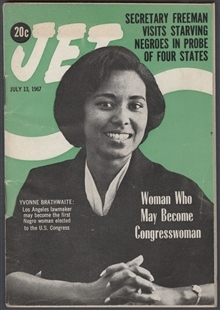 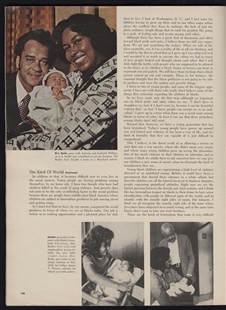 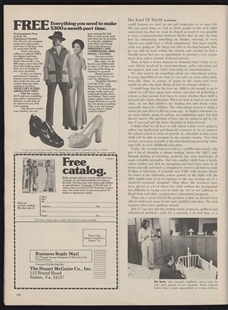 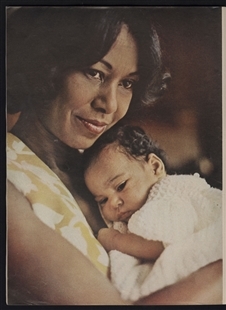 Ebony magazine featured Representative Yvonne Brathwaite Burke in its March 1973 issue, shortly after the birth of her daughter. 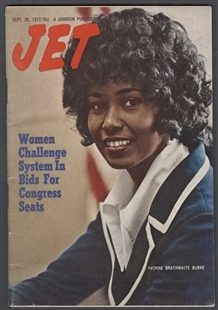 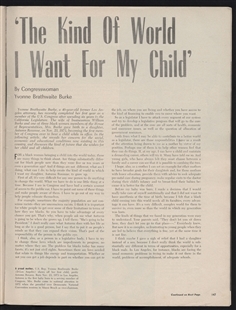 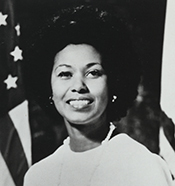 As the first sitting Member of Congress to give birth while serving, and the second African-American woman in Congress, Burke’s article, “The Kind of World I Want for My Child,” offered a unique perspective. 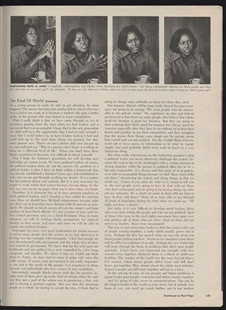 The essay, which covered her responsibilities to her community, the need for increased engagement with politics, and the challenges faced by young people in the 1970s, is accompanied by numerous family photos. 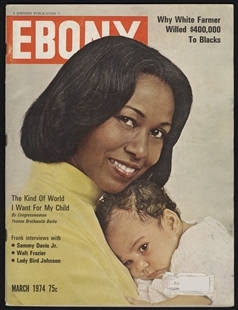 The Honorable Yvonne Brathwaite Burke remembers being featured on the cover of Ebony magazine with her daughter.